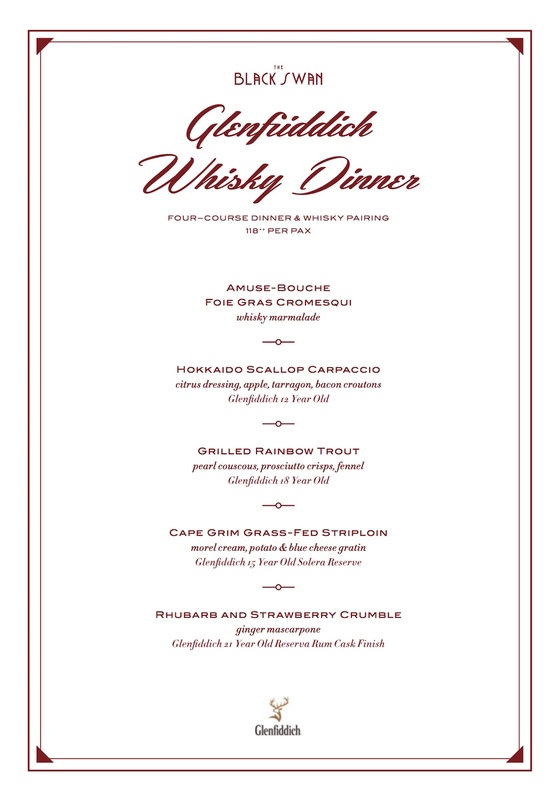 The Black Swan will be hosting a special whisky pairing dinner on Saturday 7 July 2018 at 7pm featuring the whiskies of single malt Scotch whisky brand Glenfiddich. Full menu and pairing details given below. This event costs $118++; you can book a spot here, or call 6438 3757.